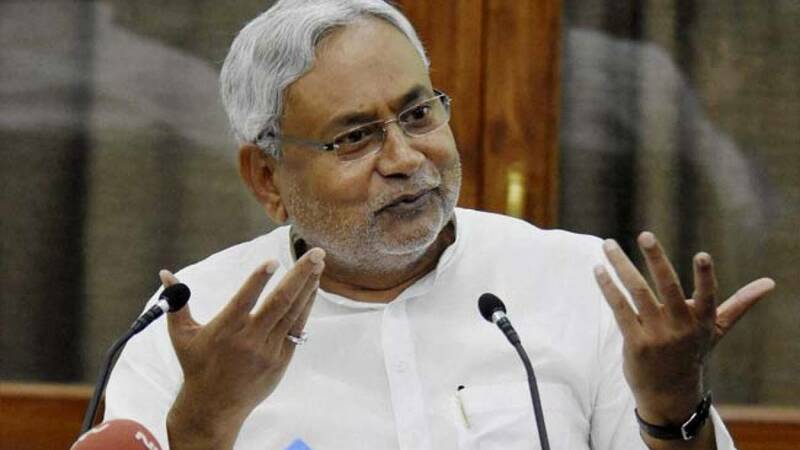 Patna : BJP ally, Bihar Chief Minister and JD-U President Nitish Kumar on Monday taunted the Congress, saying the party had claimed victory in Gujarat and it lost Himachal Pradesh too. He also congratulated Prime Minister Narendra Modi and BJP President Amit Shah over the party winning in both states. "Claiming victory in Gujarat, Congress lost in Himachal Pradesh also," Nitish Kumar said in a tweet reacting to the outcome of assembly polls in the two states. He gave the credit of victory in Gujarat and Himachal Pradesh to Modi and the Bharatiya Janata Party (BJP). Bihar Deputy Chief Minister Sushil Kumar Modi, a senior BJP leader, targeted Congress President Rahul Gandhi, saying: "Demonetisation of Gabbar had been done in Gujarat. He was referring to Rahul Gandhi describing GST as "Gabbar Singh Tax" during the campaign in Gujarat polls to reach out to people about how badly it had hit them. "People of Gujarat have put their stamp on GST and demonetisation. Gabbar has been demonetised in Gujarat. BJP victory in Gujarat is a victory of Narendra Modi and Amit Shah," he said. Bihar Health Minister Mangal Pandey, who is incharge of BJP in Himachal Pradesh,said people in Himachal as well as in Gujarat had voted for development and governance led by Modi and Amit Shah. "BJP victory in Himachal Pradesh and Gujarat have made it clear that the days of caste and communal politics are over." Pandey said people have proved again that Modi is the most popular and accepted leader in the country. Union minister Griraj Singh said Rahul Gandhi had tried to break the social fabric of Gujarat but failed to. "The people of Gujarat have voted against his attempt to break social unity." Actor-turned-politician and BJP MP Satrughan Sinha also congratulated Modi for his untiring efforts, sincerity, energy and his magic, which remains intact. The BJP leaders and workers across Bihar are celebrating the victory of party in the two states.